Does your young artist need something fun to do for the summer? Artist Kim Whaley will be teaching art classes for 6-9 and 10-18 year olds this summer at the Ann Rudd Art Center in downtown Ozark. They will meet on Tuesdays starting June 3rd and ending July 29th. 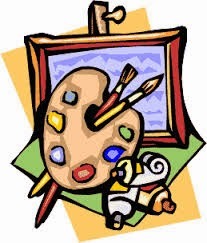 The 6-9 year olds Art Beginners will meet from 12:30-1:30 and the 10-18 year olds Art Basics Class from 2:00-3:30. The classes will go over the very basic elements of art providing a solid foundation for the student to build on technique, personal style, and expression. The cost of the classes is $80 for the whole summer, with a deposit of $20 at sign up. The remaining $60 must be paid by June 3rd at the first class. Each class is limited to 10 students and is first come, first serve. Deadline for sign up is May 24th. Supply List and Class Schedules are available online at the web address below. Kim Whaley is an alumnus of the Troy University Studio Art Program and an award-winning artist. She believes that it as an artist, it is her responsibility to bring beauty to the world and loves teaching others to do the same.